CHIAVARI, Italy – I’m no expert but I think it would be safe to say that panettone is the most famous Christmas cake in Italy. 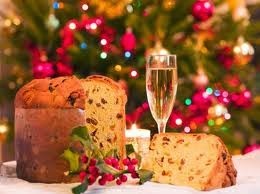 No matter the region, north or south, it just wouldn’t be Christmas without a panettone on the table. But there are other Italian Christmas cakes too. Good ones. Delicious ones. And Siena’s classic Christmas cake, the dense, dark and spicy panforte, would certainly be at the top of the delicious list. It may seem odd to start talking about a Christmas cake by talking about a horse race, but this is planet Italy and everything here is connected one way or another. In this case the horse race is the Palio di Siena, and the connection you ask? There are sixteen ingredients in Panforte and sixteen neighborhoods, or contrade in Siena, that since 1675, have participated in the Palio. 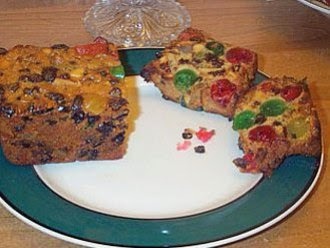 Okay it’s a stretch, but it’s only part of the history of this Christmas cake, and the most recent part at that. The story really begins somewhere between the years 1096 and 1270, which is when the Crusaders, after having invaded the Middle East, saw cinnamon, coriander, cloves, nutmeg and black pepper for the first time. They brought the spices back to Italy and since the Crusades were religious wars, it is not surprising that the first mention of panforte was found in a document dated 1205 in the Convent of Montecelso, on the outskirts of Siena. The monks discovered that by substituting the spices for the apples the original recipe called for, the cake remained edible for a longer period of time. 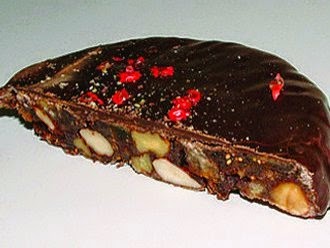 And when the Senesi military was fighting off the Florentines in 1555, panforte became their “emergency food rations”. But alas and alack, even with panforte to sustain them, the Senesi lost the war and Siena became part of the Republic of Florence. Today panforte is made with bits of candied oranges and citron (a green citrus fruit that looks like a lemon), almonds and honey and a mix of spices including: cinnamon, coriander, nutmeg, star anise and black pepper. If you want to make your own, you can buy the spice mix in specialty shops during the holidays under the name Droga Panforte, but you should know that it’s not called panforte – strong bread – for no reason. It’s because the dough is very stiff and difficult to work with. Proceed at your own risk. In spite of the commercialized ideas of what we think we can’t live without these days, all those gifts we’ll soon find under the Christmas tree will soon be forgotten, but the memory of the holiday sweets will stay with us forever. You will find local Christmas specialties that bring a smile and a nod, and a warm remembrance of Christmases past in every town, big and small, from the mountains of Trentino Alto Adige to sunny Sicily. Here are a few more of them. 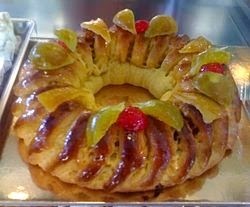 Starting in the northern region of Trentino Alto Adige you’ll find zelten, a dried fruit and candied fruit cake that gets its name from the German word selten, (rarely), which gives you an idea of how special it is. While Milan’s panettone is probably the most popular Christmas cake in Italy today, a close second has to be pandoro, a specialty of Verona. It’s tall and yellow, and tastes a lot like pound cake. 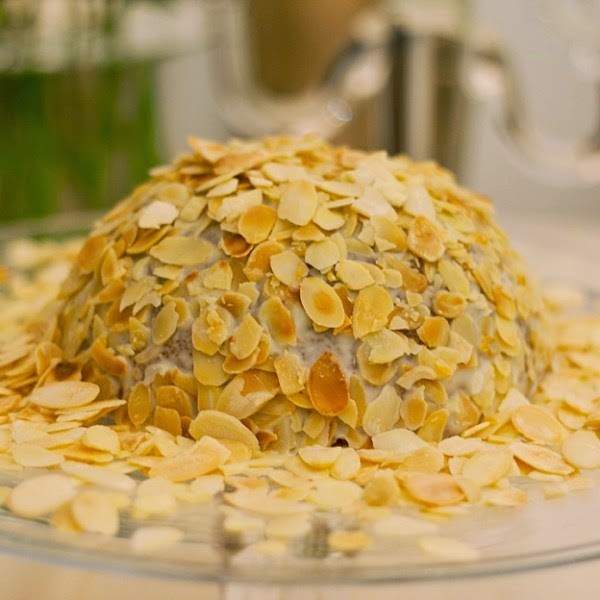 In Genoa you’ll find pandolce, a dome shaped fruit cake similar to panettone, but more dense. It is made with pine nuts, fruits and spices, most of which originally came through the busy Medieval port of Genoa before making the journey to waiting pastry chefs throughout Italy. Pandolce also contains Zibibbo, a local wine that tastes like oranges and peaches and gives the cake a slightly different flavor than other similar breads. Traditionally, the first cut in the cake is made by the youngest member of the family. Panpepato, or pepper bread, is a specialty that comes down to us from the cloistered nuns of Ferrara who developed the recipe sometime around the 15th century. 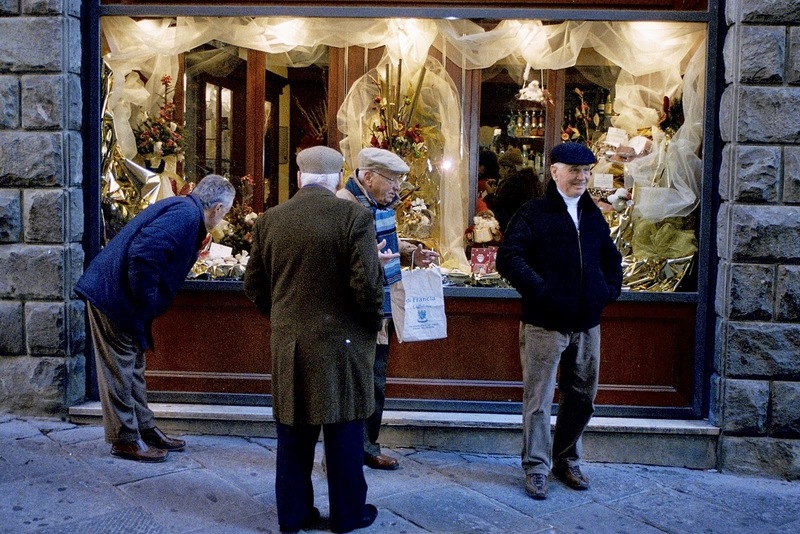 On the Mediterranean side of Italy, in Lucania, an ancient region between Puglia and Calabria, it isn’t Christmas until the trays of cuscinetti, small, fried pillows filled with chocolate or a sweetened chickpea cream are in the shop windows. 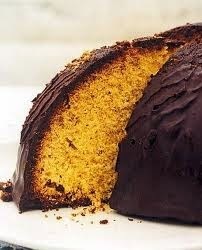 Heading over to Abruzzo you’ll find parrozzo, a dome shaped almond cake covered with chocolate icing. It gets its name from pan rozzo, or rough cake. At Christmas, the most famous creation in Naples is struffoli, a confectionary wonder of tiny balls of fried pastry dough covered in honey and sprinkled with tiny colored confetti called ‘diavolilli’. In Puglia you start to see the Arab influence on the cuisine of the south starting with the heavy use of almonds and almond paste. Puglia’s mandorlaccio a almond and honey cake that dates back to pre-Roman times. It fell out of favor a few years ago but it was recently brought back by a local baker. Since then, Mandorlaccio has gone on to win several major culinary awards and is now considered an important product typical of Puglia. 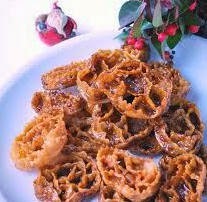 Another typical Pugliese treat are those crispy fried delights known as carteddate or cartellate. 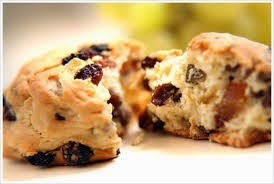 They are probably the oldest pastry around, having been found depicted in cave paintings from the sixth century BC. They were linked to the pagan cult of Demeter, the Roman goddess of the earth. The name comes from the Greek word for basket as pastry strips are cut and tied to form a type of basket and fried and then basted with vincotto. Vincotto is a southern specialty wine made from the must of the grapes and flavored with cinnamon, dried orange peel, cloves, grated lemon rind and bay leaves. In other words, total deliciousness. Like many Italian pastries, the origin of Sicily’s buccellato is unclear. What is certain is that the Sicilian version of buccellato is a cornucopia of the island’s bounty, a combination of figs, raisins, dates, nuts (usually almonds) and candied citrus like fruits. The filling is wrapped in a large round pastry shell or made into small pastry wrapped cookies. There was a time when the richness of the buccellato represented good fortune and prosperity, and it was used to celebrate special family occasions such as baptisms and weddings. Today buccellato is most often seen at Christmas, but unlike its northern neighbors who crank out their Christmas panettone by the thousands, buccellato is still made by hand, one at a time, and for some reason I think that is a whole lot better, don’t you? And last, but certainly not least, Milan's panettone. Happy holidays!